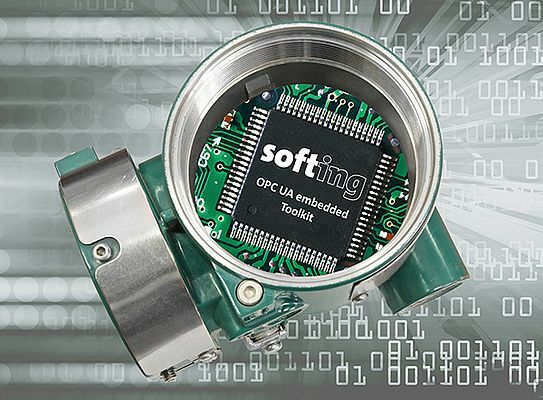 Softing Industrial presents at Hannover Messe a new OPC UA embedded toolkit for the development of OPC UA servers on embedded systems. It is based on the ANSI C standard and features a low memory footprint as well as minimal requirements for computing power. This makes it particularly suitable not just in firmware development for sensors and field devices but also for use in control or I/O systems with limited resources. Users benefit from the utilization of predesigned and tested toolkit functions and can use these to significantly shorten the time-to-market of their development projects. The toolkit supports the OPC Foundation’s Nano Embedded Device Server Profile security features and publisher functionality from the UA v1.04 (release candidate) specification. Support is also available for developing service functionality for client/server communication.